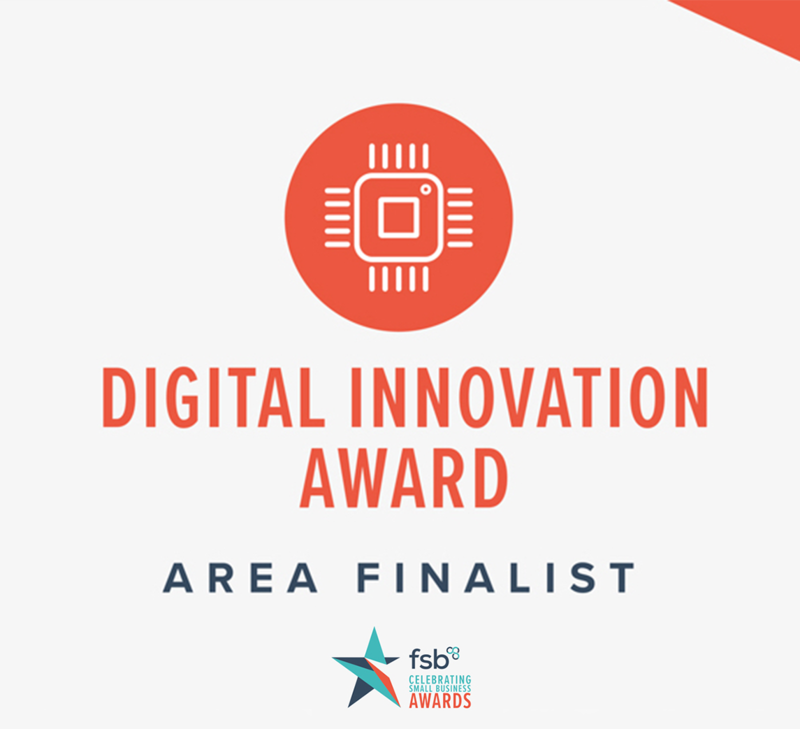 We are delighted to be announced as a finalist for the SME Risk Initiative of the Year award, awarded by the International Institute of Risk and Safety Management as part of their annual Risk Excellence awards. It's here. Travel Safe 360, the most comprehensive Travel Safety solution ever, is live now, and you don't want to miss the opportunity to leverage it in your organisation. Here's a short video to explain a little more about the launch of Travel Safe 360. 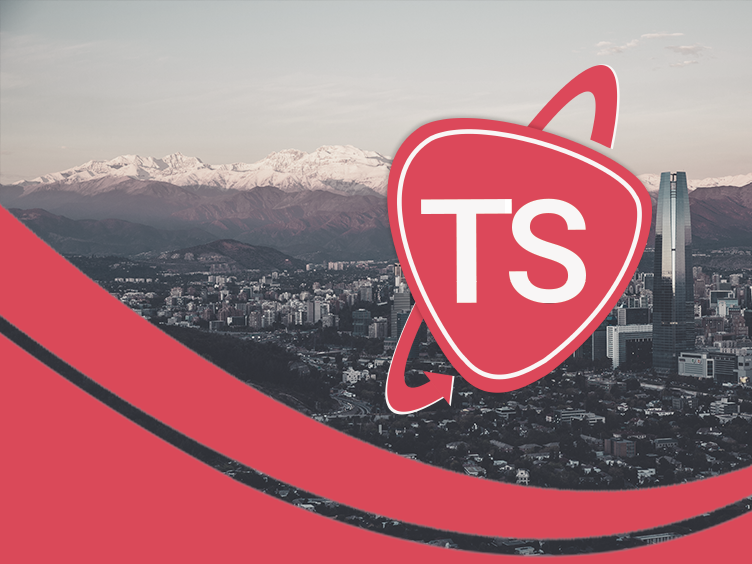 We are confident that we have built an incredible team here at eTravelSafety. 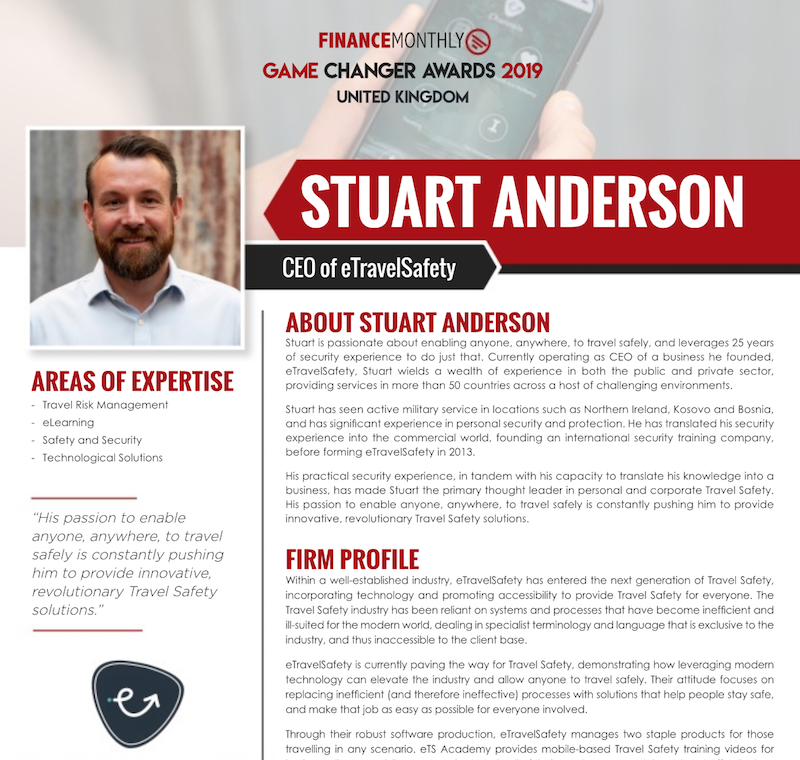 Other people are beginning to agree with us too, as our CEO Stuart Anderson has been named as a winner of Finance Monthly's Game Changers Award for 2019! Last year, we released Chatbot Charlie – the world’s first Travel Safety Chatbot. He was able to give you the information you needed to stay safe whilst you were travelling, including specific videos relevant to the risk you would encounter at your destination.